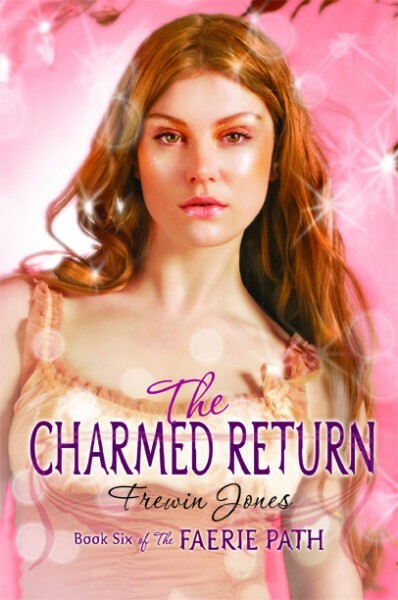 Here at last is a sneak-peek look at the cover of the 6th Faerie Path book: The Charmed Return, hot off the presses, as people used to say. For anyone not yet in the know, the book is due out towards the end of January 2011. At the end of 2010, I am planning on posting some sneak peeks of the book online, so watch out for them in Nov/Dec. Meanwhile, I have been asked if I’d be prepared to post some riddles based on the storylines in The Charmed Return. There are no rules except for the ones that I make up as I go along. If you work out the whole plot from these riddles and ask me if you have got it right I may say “yes” or I may say “no” or I may say “no comment”. I may give further hints, or suggestions based on questions you ask, but I may not tell the truth, or I may tell the truth, or I may say “no comment”. (I’m not about to give the whole plot away for everyone just because some of you are really really good at this kind of thing.) The riddles are all based on true things in the book - none of the riddles are untrue. 1,2 & 4 are trapped in amber. 3 is no more, alas, but why do birds flock around the Dolorous Tower? 5 arrives, but can 5 really be alive? 6 and a boy appear when they jump through a hoop - but which of 2 boys and how are they here? 7 is half lost, but the Green Girl will help 7 to reunite. The answer is: 4 of 7. 5 of 7 is 50% TA+50%AP. In other words, 1 of 7 and 5 of seven are the same power twice over. 6 of 7 and 7 of 7 are hidden in TCR. Together these 7 will make a new Power of Seven. When Brother cries Uncle all evil is done - so why are the horses still galloping from the North, and who is the new Captain of Weir? For those who enjoy this kind of thing, happy puzzling. I think that Tania is both 16 and 532. Because she is both people she is both ages! Do your faeries eat fish? My sea elves don’t eat fish or sea food. AFJ. B.L.H. The people of Faerie do eat fish and meat - but I can see why sea elves might prefer not to eat fish! How do you write about secondary characters? Do you write the description sentences long for the secondary characters? AFJ. B.L.H. Sometimes it’s more important to describe secondary characters than it is to describe the main characters - often readers can get an image of the main characters in their heads from quite small descriptions, because they are always around, but people who do not say much or do much do need to be placed firmly in a reader’s mind. AFJ. Christinia - thanks for letting me know about the Opera problem, I’m going to ask my website builder to look into it and see what can be done. AFJ. Christinia - my website builder has been in contact now - she says that the site seems to work fine with Opera 8, 9 and 10 - but she thinks there may be problems with older versions. She asked me to find out from you which Opera version you are using, and exactly what the problem is, in case it can be fixed without causing problems with other browsers. I think that Queen titania, tania, Rathina, Zara, and eden are the 5. and the four that are trapped could be Edric, Collen, cordelia, and hopie. I think that Zara is going to come back and in the 4th and 5th book I think that Zara is the Dream Weaver. Okay I really need to know this. . . . Will Edric marry Tania once she awakens her Faerie self?? Or will their love be doomed once again???? 1 and 2 and 4 are Eden, Queen Titania, and Sancha. Since 3 is Cordelia she might be dead. 5 is Zara because she isnt alive and she might be. 6 is Rathina and she might appear with Collen or Edric but idk who. And 7 is Tania and she has lost her Faerie self and she must reawken it. Hopie is the Green girl that will help Tania to reawken her Faerie self because Hopie loves plants and that is why she is called the green girl. And since Cordelia is probably dead the power because 6 out of 7… i think I got it!!!!!! AFJ. Marissa - Regarding your first post - you are half right and half wrong. But in the other order! Hopie isn’t the Green Girl. The Power of Seven is something else entirely. Much more personal to Tania. Then the Power of the Seven must be her past lives that she had flash backs about but Im still puzzled on who the Green Girl is it might be Queen Titania or the Dream Weaver. AFJ. Marissa - You got it! Green Girl - look up an online Thesaurus that will give you other words meaning green - that should help with who the Green Girl is. Will the faerie path books become a movie? I hope it does. How many characters do you have in your books? Do your healers use crytals for healing? In my story my healers use crystals for healing. I am having trouble finding an online thesaurus. ok I have a new answer. Eden, Hopie, and sancha are the ones trapped in Amber. Cordelia is 3 and since her animal spirit was released she is no more of what she was before. Then Zara appears and I think that she will help to reunite Tania. Rathina and either Edric or Connor will appear with her. And of course will all know that tania is half lost. TFP (221+4=T)=TLQ (135+11=A)=(181+24=G)=(248+7=F This means that Tania 3 other past lives will help and those lives were 225 years long. And they equal tania and then that equals The Lost Queen. then 135+11= Anita Palmer. Then I dont know what the G stands for. Then F must be Final or something else. 5 of 7 is 50% TA+50%AP. In other words, 1 of 7 and 5 of seven are the same power twice over. 5 of 7 is 50% TA+50%AP. In other words, 1 of 7 and 5 of seven are the same power twice over. This means that Oberon will call on his uncle and then the evil will be gone. And most likely Edric will be Captain of Weir and I suspect that when Tania is finally reawakened that Edric and Tania will be married. And I think that Connor will fall in love with Rathina and she has well. And i think that somehow Jade will be invovled but idk how. AFJ. B.L. H. - whether it becomes a movie isn’t up to me - the movie people will decide that. It would be great, though! I don’t know how many characters I have - I’ve never counted. AFJ. B.L.H. - Hollin certainly pretended to use crystals - but whether it was real or not, I’m not sure. What collage did you go to for your writing? AFJ. B.L.H. I didn’t actually go to a writing college - I went to Art College, but then I decided I liked writing better and taught myself how to do it. Does Tania seen snow the her world of faerie? In teen books can the writer have the illustrator put the art of the characters in the book. AFJ. B.L.H. - there’s no reason why Tania wouldn’t have experienced snow as she grew up in Faerie - but the six books in the series all take place over the summer, so there wouldn’t be snow there. I can’t see any reason why the illustrator could not put in the books whatever the writers asked for. In my story book is going to have snow in it. What would be a good way for me to tell my readers that my sea elves are immortal. AFJ. B.L.H. - I would probably do it by having one of them fall gravely ill or be killed in an accident - and the others be utterly devastated and horrified because they are simply not equipped to deal with the idea of anyone dying. The very three first sea elves were not immortal but became into by drinking from a pool which had healing waters and who ever drank it became immortal. The humans in my story don’t know that. I think that 1, 2 and 4 are Oberon, Titania, and Eden respectively since they’re the first second and fourth most powerful people in faerie, not sure about all of the other stuff though.